TASS, September 12. The finalists have been announced for the FinTech startup contest, which will be held during the Forum of Innovative Financial Technologies FINOPOLIS 2018 in Sochi. Applications to take part in the contest were submitted by over 100 teams from more than 10 regions of Russia. The jury of experts selected ten teams to present their projects at the Forum. The jury consisted of representatives of leading Russian banks and financial companies: Raiffeisen Bank, Otkritie Bank, Alfa Bank, VTB Bank, SKB Bank, AK Bars Bank, Bank of Russia, FinCERT, Tinkoff, NSPC, Gazprombank, Zolotaya Korona, VISA, and the FinTech Association. In the final, the participants will talk about their projects and present the business model of their projects and their teams. Three winners will receive grants for business development ranging from RUB 1 million to RUB 3 million. 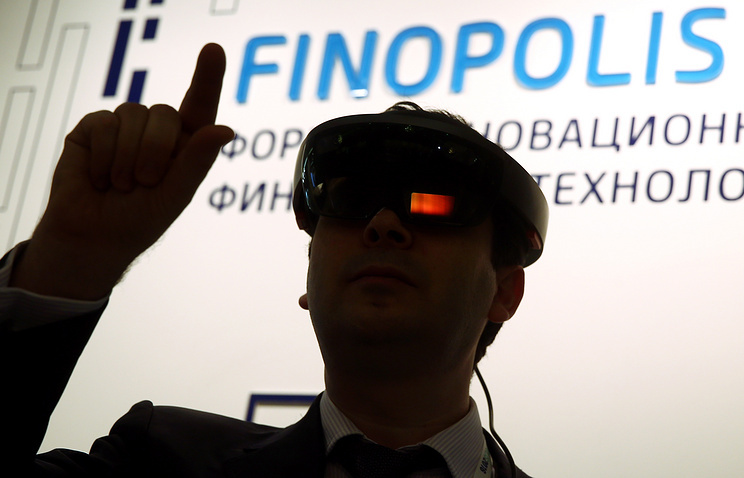 During FINOPOLIS 2018, the competition participants will be given spots in the FinTech Startup Alley in the Forum’s exhibition area for meetings with potential customers. Q.Platform (powered by QIWI) creates fast connections through open interfaces of interaction between platform participants: banks that provide financial infrastructure and FinTech companies that need infrastructure to create and develop their own business models and innovative solutions. Seeneco business settlement service – a platform that accelerates transactions between legal entities by exchanging accounts in electronic form. CreditClick – a platform for real estate developers and agencies integrated with popular mortgage banks. CraftTalk software platform – a set of tools used to create flexible business solutions and automate service, sales, and marketing. MindScore – an online service that provides a psychological evaluation of a person based on an analysis of public data. Simple Invest – a mobile platform for simple investments. Fins.money – a service used to open online deposits at different banks and invest in the products of various financial organizations. QROOTO – a mobile app-based cashback service that allows manufacturers to encourage the purchase of their products. For the user, it is a convenient tool that can be used to save money on the purchase of goods and services with the ability to withdraw funds. Crimea Investment Platform – a project developed as part of the Digital Economy of the Russian Federation programme according to the instructions of the President of the Russian Federation for the development of digital financial services and technologies for testing in the ‘sandbox’ of the Bank of Russia. The project envisages the development of a crowd-hosting platform based on the Ethereum network in order to attract investment and increase the availability of finances for Crimeans. DataFabric – customer analytics based on knowledge graphs that allow for creating customized scoring systems per customer requirements. For more, see the page of the FinTech startup contest.